Abbey LeVine; Caption: Emmy®-nominated director Abbey LeVine inspired to create this film following her own mother's COPD diagnosis. The film is available online at CleartheAirCOPD.com. Abbey LeVine garnered an Emmy nomination for her work on Dr. Phil, then went on to produce and direct documentaries and TV docu-series like VH1’s Love & Hip Hop. 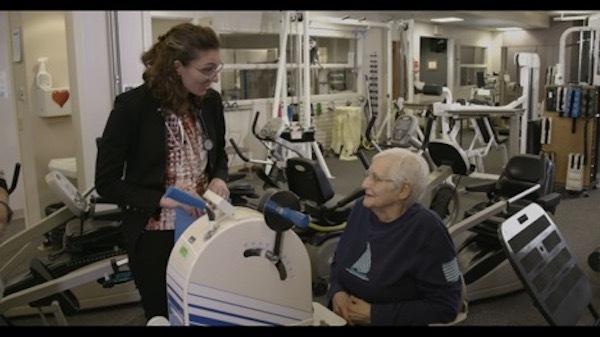 Her most recent project hits closest to home for her: It is a short film about chronic obstructive pulmonary disease (COPD), an illness that affects 15 million Americans — including LeVine’s mother. Clear the Air: Opening Up About COPD, produced by Boehringer Ingelheim Pharmaceuticals to showcase its Stiolto Respimat inhalation spray, profiles three ordinary people with COPD and their everyday victories. While COPD is the third leading cause of death in the U.S., the film focuses on how patients who find the right treatment can live their best lives. Here LeVine talks to HealthCentral via email about making the film and what it taught her about her mom. HealthCentral: What do you look for when you're telling someone's story, whether it's a hip-hop artist or a person with a chronic illness? Abbey: It is my core belief that everyone is intriguing, has substantial stories to share, and, most of all, deserves an active audience. So whether the characters in my shows and films are hip-hop artists, red-carpet celebrities, Alaskan singles, or COPD patients, I approach them the same when I drop into their world. I connect with them one-on-one while thinking about the audience as well as the integrity of the person I'm interviewing. HealthCentral: Can you talk a little about your mother and how she came to be diagnosed with COPD? Abbey: My mom kept her initial diagnosis a secret from me and my three sisters. I think she was frightened and overwhelmed since COPD is not a curable disease and once you have it, you always have it. We heard her coughing and witnessed her suffering from the symptoms for many years. She was admitted into an ER before Thanksgiving 2015. At that time, I learned about my mom's COPD and got a crash course on how it can affect someone and their loved ones. It's pretty hard watching your mother unable to breathe on her own when she was otherwise quite healthy. My mom has had a career and walked five miles daily for as long as I can remember. HealthCentral: Your film lingers on the small achievements in each subject's everyday life, like learning to play the piano. Does any of that reflect your mom's experience? Clear the Air Movie; Caption: Dr. Breion Tafoya and her patient Mary are featured in Clear the Air: Opening Up About COPD, available online at CleartheAirCOPD.com. 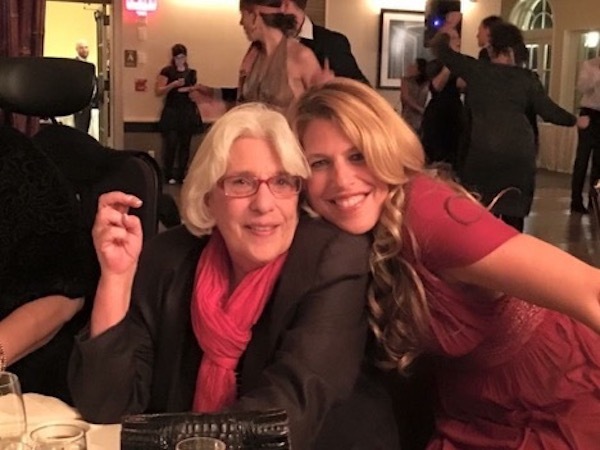 Abbey: I know all too well the impact and frustrations of living with COPD after witnessing my mother's struggle, but my film is not based on me or my mom. In fact, I didn't tell her about it until I was about to hit the road. She watches everything I produce, and I didn't want her to worry about me because the topic can be stressful for family. I also really wanted to be objective with each person we interviewed and tell their personal story. We set out to find stories that collectively speak to patients living with COPD. There is a wonderful, empathic, revolutionary team of people behind the scenes making this film. I'm the director. But there were producers, crew, and a home-base staff to help us with it all. We traveled to South Carolina, Michigan, and Hawaii over the course of three weeks and filmed over 60 hours of footage in that time. We didn't ask the patients do to anything outside their regular day. We wanted to emphasize the importance of celebrating the daily small accomplishments. HealthCentral: If I may ask, what is your mom's day-to-day life like now as a COPD patient? Abbey: Thank you for asking. My mom is stable right now. HealthCentral: Did making the film teach you anything you didn't already know about living with COPD? Abbey: Making the film gave me one very important takeaway: Every patient can take control of their own treatment plan. Research. Ask questions. Find health-care providers you trust. It is possible to breathe better and do things you love. Have conversations with your doctors. And watch the film - you'll learn a lot.